· There have been 2 updates to our schedule. The meet scheduled on 4/20 is on Wednesday 4/21. 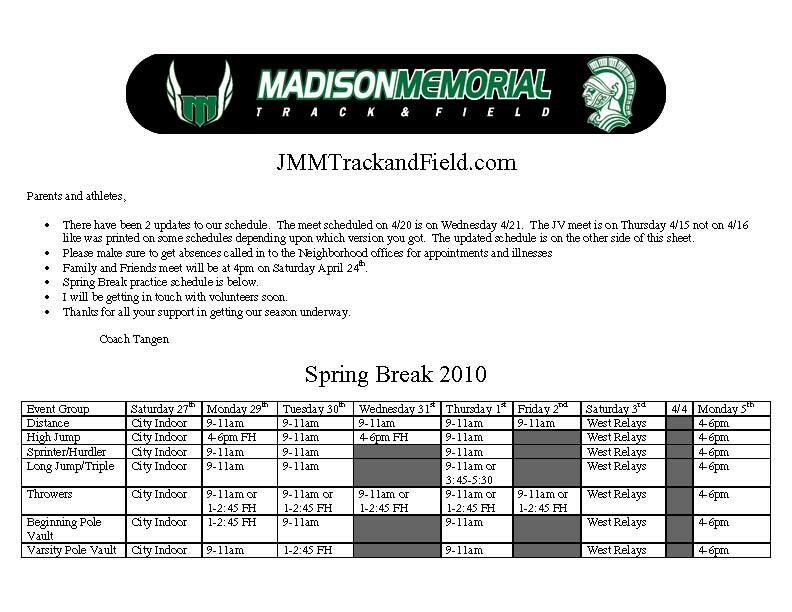 The JV meet is on Thursday 4/15 not on 4/16 like was printed on some schedules depending upon which version you got. The updated schedule is on the other side of this sheet. · Family and Friends meet will be at 4pm on Saturday April 24th. 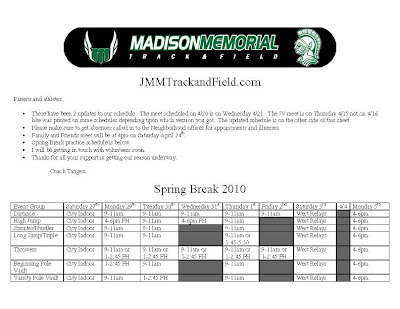 · Spring Break practice schedule is below. · I will be getting in touch with volunteers soon. · Thanks for all your support in getting our season underway.